The OPNFV Project released its fifth software platform for facilitating the development and evolution of Network Functions Virtualization (NFV) components. Architecture - Euphrates brings Kubernetes and container integration with multiple components of the end-to-end stack, as well as the ability to deploy containerized OpenStack via Kolla, which provides production-ready containers and deployment tools for operating OpenStack clouds. These enhancements enable easier management of the infrastructure, support of cloud-native network applications in NFV, and lighter weight control plane capabilities as service providers prepare for edge architectures to support 5G and IOT. Integration - access to the latest upstream code. Building on the continuous integration/continuous deployment (CI/CD) pipeline integration work in Danube, Euphrates introduced the implementation of the XCI integrated CI/CD pipeline amongst OPNFV, OpenStack, OpenDaylight, and FD.io. Instead of waiting for an official stable release, the OPNFV CI pipeline integrates the latest upstream code from these upstream projects in order to more quickly resolve bugs and validate features. This reduces the time it takes for feedback on a new feature or bug-fix from months to days, greatly increasing the pace of innovation. XCI also enables multi-distribution support and fosters closer developer relationships. New carrier-grade features - integration of the new Calipso project proved operational visibility into complex virtual networks. When combined with telemetry enhancements in existing Barometer and Doctor projects, users have access to a powerful service assurance framework. Euphrates also includes performance improvements on the Arm architecture, and in Layer 3 performance with FD.io. Euphrates also brings security and user management capabilities with Moon, continued improvement in Service Function Chaining (SFC), FD.io, and new EVPN features. Euphrates also integrates the OVN network virtualization project along with the most recent versions of other upstream projects to provide additional choice in networking control options. Enhanced testing and integration - includes an extensive set of tools to test the NFV cloud, VNFs, and complete network services. New projects—including Sample VNF, which provides testing of the VIM/NFVI layer with applications approximating real-life application workloads; and NFVBench, which provides an end-to-end dataplane benchmarking framework—have been introduced. Additionally, existing test projects have continued to evolve with new features, capabilities, and test cases. 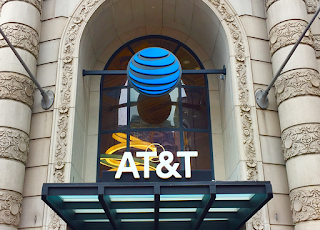 AT&T recorded Q3 revenues of $39.7 billion, down from $40.9 billion in the year-ago quarter, primarily due to declines in legacy wireline services and consumer mobility. Net income totaled $3.0 billion, or $0.49 per diluted share, compared with $3.3 billion, or $0.54 per diluted share, in the year-ago quarter. 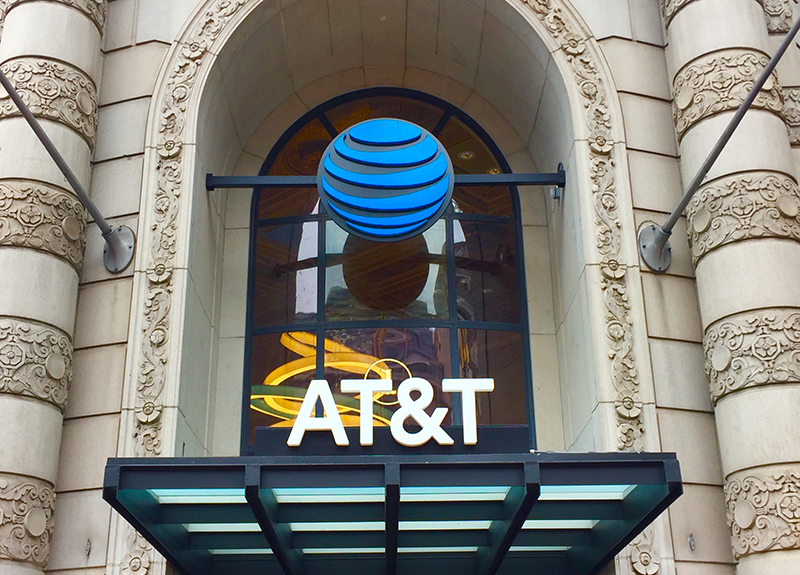 AT&T estimates it lost $100 million in sales due to hurricanes and earthquakes in the third quarter. “We continued to operate our business efficiently in the quarter. At a time of transformation in our wireless and video businesses, as well as investment in growth opportunities, we’re able to maintain our full-year guidance. Wireless margins and phone churn continue to run at record levels, our fiber deployment is helping drive broadband growth and DIRECTV NOW had another strong quarter. We’re also pleased with our FirstNet progress. Already 27 states and territories have opted in, and we’re working closely with them as we prepare to deploy the FirstNet network,” stated Randall Stephenson, AT&T Inc. chairman and CEO. in SDN, 45% of networking functions are now virtualized. Citing ongoing large deployment timing delays by some major customers, Juniper Networks reported Q3 expected net revenues of $1,257.8 million, a decrease of 2% year-over-year and 4% sequentially. GAAP net income was $174.4 million, an increase of 1% year-over-year and a decrease of 3% sequentially, resulting in diluted earnings per share of $0.46. Juniper's GAAP operating margin was 19.4%, a decrease from 19.5% in the third quarter of 2016, and a decrease from 19.7% in the second quarter of 2017. Juniper also trimmed its Q4 forecast, saying it now expects Q4 revenues to be approximately $1,230 million, plus or minus $30 million. "While we are disappointed in our third quarter revenue results which were impacted by timing of switching deployments, we have made significant progress on executing on our cloud strategy," said Rami Rahim, chief executive officer, Juniper Networks. "We believe our deliberate and intentional strategy of focusing on cloud-oriented architectures and solutions has resulted in a strong footprint and a compelling product pipeline. We are excited about the opportunity we have in front of us." Sckipio has demonstrated over 3.1Gbps of download and 900Mbps of upload on production silicon using Gfast bonding running at 212Mhz on two bonded pairs of CAT-3 wiring (regular copper telephone wires). The demonstration, which is being conducted at the Broadband World Forum in Berlin, Oct. 24-26, was developed in partnership with software company Civica. 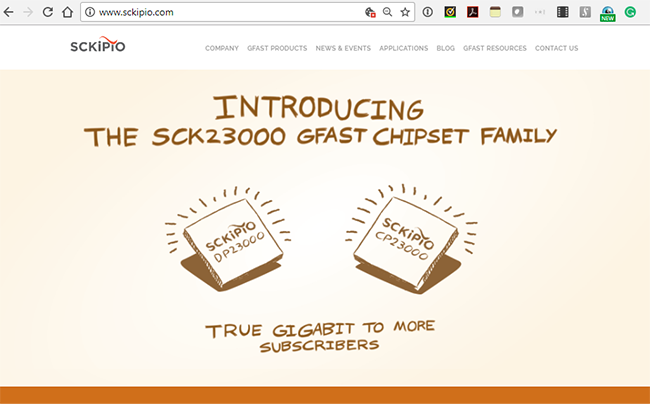 The demonstration uses Sckipio’s SCK23000 chipsets, Civica WanStaX software and the Microsemi WinPath network processor. ADTRAN is teaming with CCS (Cambridge Communication Systems) to deliver self-organizing mmWave technology for backhaul and access capabilities to wired and wireless operator. CCS (Cambridge Communication Systems) is the creator of Metnet – a self-organising 5G microwave backhaul for small cell, 5G Fixed Wireless Access (FWA), CCTV and fibre extension applications. ADTRAN said the global agreement with CCS forms the latest development in its Mosaic Open Network Alliance initiative. It complements ADTRAN’s existing SD-Access based NG-PON2 solution for 5G backhaul, featuring non-service impacting wavelength agility and ultra-low latency to safeguard the extraordinary SLA performance demands of 5G, IoT and other mission-critical services. “The resiliency, scale and low-latency capabilities of the ADTRAN SD-Access based mmWave solution make it the clear choice for operators seeking an affordable and sustainable 5G rollout, specifically in those instances where backhaul fiber is initially unavailable or impractical,” said Hossam Salib, VP, cable & wireless strategy at ADTRAN. Bahrain Telecommunications Company (Batelco), which is the incumbent carrier in Bahrain, has selected Ciena’s Converged Packet Optical Platform as the foundation for the new Batelco Gulf Network (BGN), which will connect all the countries across the GCC (Gulf Cooperation Council) in the Arabian Gulf region. Financial terms were not disclosed. BGN will operate state-of-the-art OTN infrastructure as an alternative to more vulnerable submarine cables. The BGN terrestrial fibre cable extends 1,400km and is managed by Batelco with full control and manageability and can be interconnected with other regional and global cable systems for access to onward connectivity to Europe, Asia, Africa and the rest of the world.